Huascaran is the highest tropical mountain in the world and therefore the best known in Peru. 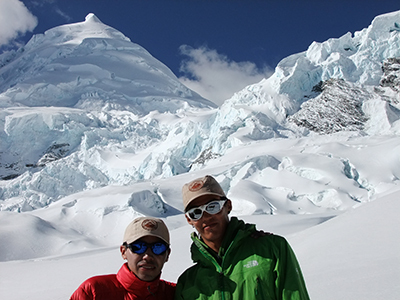 It is located in the Huascaran National Park, with a height of 6768m. This mountain is also the highest in Peru, and the view from the summit provides a vista of most of the Cordillera Blanca. It offers countless routes of ascent with varied terrain with snow and rock routes also. We depart by bus to where we take a detour for twenty kilometers to the village of Musho (3030 m). From here begins the trek to base camp (4330m). Here is where we camp. We begin our walk along the mountain path where we take a small break before walking to the glacier. Along the mountain path we will climb to our first camp (5200m). On this day we will ascend for about five or six hours to our next camp. 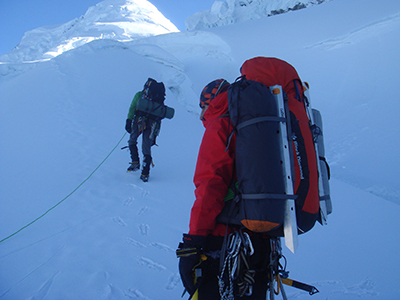 We leave early to climb to the summit of Huascaran which will take five or six hours. After reaching the summit we will descend to Camp 2 where we spend the night. 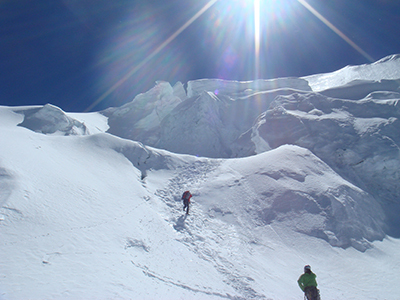 We will descend down the mountain path until Huascaran base camp. We walk to the village of Musho where we wait for the bus to take us to Huaraz.